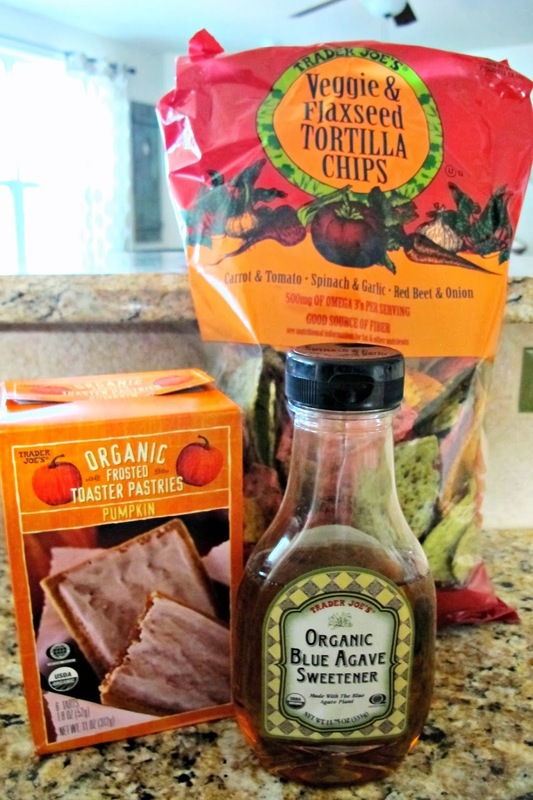 What are some of your favorite recent discoveries from Trader Joes? The chips sound good!! Sadly, I've never been to a Trader Joe's! They just recently opened one in Asheville, & we need to check it out! I haven't seen those chips there. i need to try those, they look soo good. Actually I love some of their beauty products! They have a lavendar salt scrub that comes in a huge container for like $6 and a coconut body butter that smells super yummy! Also their guacamole that's made with greek yogurt is SO. GOOD. Can we talk about how yummy those toaster pastries look!?! I'm starving now after looking at that picture, lol! I love Trader Joe's chocolate covered raisins. And I'm also a big fan of their giant (and very reasonably priced EVOO). PUMPKIN PASTRIES!?!?!? OMG-guess I know where I will be going this week! thoughts on the pumpkin pastries? I went in there a few weeks ago and almost got them. they also had pumpkin macaroons in the frozen section. might make a pit stop there this afternoon. I love their version of "Pirate Booty." We get all of Cam's snacks there because they are less expensive than grocery stores! I don't buy those chips anymore because I can't quit eating them. It's pretty redic. For reals. Those veggie chips are my fav!! Try them with their corn salsa too!! Yum! Everything is so good at Trader Joes my favorite right now is the frozon brown sugar gnocchi. OMG so delicious! MUSHROOM AND TRUFFLE FLAT BREAD!!!!!!!!!!!!!!!!!!!!!!!!!!!!! I live off of those chips and their guilt free guac. I need to get those chips! Yum! I loveeeee TJ's and make weekly trips without fail!